What is the single view of the customer? According to Experian, it's the one-way ticket to maximising customer relationships and a strategy that can provide the financial services sector with richer insight and engagement. The reality, however, according to the Digital Banking Report, is that 40% of consumers are showing decreased dependence on their banks. They are also more enthused about using alternative providers and disruptive solutions that make their lives easier, faster and more cost-effective. It's important for organisations to understand that obtaining a single view of the customer is not a data integration challenge. This doesn't mean financial institution are suddenly going to lose relevance and collapse in a puff of smoke, but it does mean their firm grip on the market is eroding. The 2016 Global Consumer Banking Survey, for instance, found that traditional banks are under threat because they're just not staying relevant to the consumer. It found 40% of customers expressed decreased dependence on their bank as a primary source of financial support, and 20% of those who've not yet explored alternative banking solutions are planning to do so. The survey found four critical areas that have to be addressed by traditional financial institutions in order to claw back market share and retain a grip on their existing customer base. These include: building customer trust, enhancing customer understanding, rethinking distribution and customer engagement, and innovating customer experiences in the same ways as the fintechs. What it comes down to is the customer needing to sit at the centre of the story. This means the data gathered from every interaction and transaction must be used to enhance the conversations and engage the customers. But, in most financial institutions, the data sits across different departments and silos, collected by disparate workflows and processes. This is a problem. If this data isn't merged to create a comprehensive view of how a customer acts, the organisation won't be able to offer solutions that meet this individual customer's needs. "Targeting the right audience with the correct solution at the right time allows for better customer satisfaction," says David Coleman, chief data officer at Experian South Africa. "The customer is being viewed as a journey and serviced by the whole organisation with an aligned strategy to create lifetime value and profitability." To provide an exceptional experience at every step of the customer journey, financial institutions need to improve the quantity and quality of the data. Not only do financial institutions have to find ways of collating the data, but they have to spread their insights across multiple channels to ensure the single view of the customer is accessible on the platforms the customers want. The Global Consumer Banking Survey revealed some important contradictions in how consumers access financial services - 82% use online tools to research a product, but 59% need to speak to someone to crystallise their understanding, and 65% of consumers think a digital footprint is important, but 60% also think a physical presence is essential. It's a contradictory market and financial institutions have to juggle the complexities of taking the single customer view into exceptional customer service across multiple platforms in order to deliver disruptive performance and solutions that keep their toes firmly planted in financial sector soil. "Customer expectations have increased significantly around what they expect from organisations that collect their data and don't use it to enhance their experiences," says Fokion Nartsis, CSO at Zailab. "To differentiate offerings, banking needs to deliver the level of customer experience that other industries provide." This means they have to go through a random paradigm shift: instead of reacting to the market, they become proactive in developing customer experiences. Brainstorm: What steps should the sector be taking to develop the single customer strategy? Susan Page, head of financial services industries, SAP: It's important that the sector gain deeper insights and understanding of their customers, as those that don't will be shut out and steadily lose value and valuable customers. The sector should invest in a set of delivery tools that place an offer, and the ability to convert real-time offers, into the hands of the customer. That's mobile devices, the internet and a physical presence, such as a broker or a branch. Maarten Boddeus, principal consultant, Yellowtail: First and foremost, there is a need to have recognition at board level, and among all traditional silos, that the organisation as a whole interacts with the client as a whole. Fokion Nartsis, CSO, Zailab: To provide an exceptional experience at every step of the customer journey, financial institutions need to improve the quantity and quality of the data held, as well as increase the use of advanced analytic tools, including customer experience programmes. Banks need the ability to develop a single customer view, bringing together customer data from all disparate and bespoke systems. David Coleman, chief data officer, Experian South Africa: Assess the state of your existing customer relationship management data quality, invest in skills and tools that will allow for data profiling to address the root causes of data quality issues, and assign clear ownership for customer data. It's also important to manage data quality over its full lifecycle, as ageing data tends to degrade by 25% per month without maintenance. Brainstorm: What are some of the challenges the sector should look out for, and why? Gary Allemann, MD, Master Data Management: It's important for organisations to understand that obtaining a single view of the customer is not a data integration challenge - it's not about placing data across multiple departments into a single place. This often results when organisations place the responsibility with the IT department. The process needs to be business-driven and aligned with business objectives and strategies. Rudie Raath, chief digital specialist, Datacentrix: It's trying to use existing legacy technology to plug a hole. The ability for real-time reporting is vital in creating a holistic view of the customer, and the reluctance of the bigger banks to embrace new technologies is costing them market share. New and nimble banks don't have these legacy technology challenges to deal with. Terence Naidoo, head of IT strategy, BSG: To enable a single view of the customer, customer information also needs to be managed centrally even if it is not all stored centrally. The amount of application-to-application integration among existing systems in financial services organisations is often very difficult to untangle. Brainstorm: Why should local banks even bother with adopting the single customer view? Simon Holt, head of retail transformation, BT AMEA: Tech-savvy and with smart mobile devices in hand, the digital consumer's expectations are now sky-high - and retail bankers need to build a single view of the customer if they are going to understand and leverage on the evolving ethos of the customer experience. Julia Ahlfeldt, certified customer experience professional, CX Consulting: As consumers, how many times have we all called a contact centre, only to repeat our story 15 times before achieving a resolution? Imagine if we didn't have to do that, if the agent knew the context and was equipped to immediately offer a solution or recommend a product that would enhance the consumer experience? Ferdi Maritz, data expert, Compuscan: Customers want personalised, relevant engagement that genuinely shows organisations care by reducing time it takes to engage with the brand, minimising the cost of the product or service, and giving them real value they want and can afford. 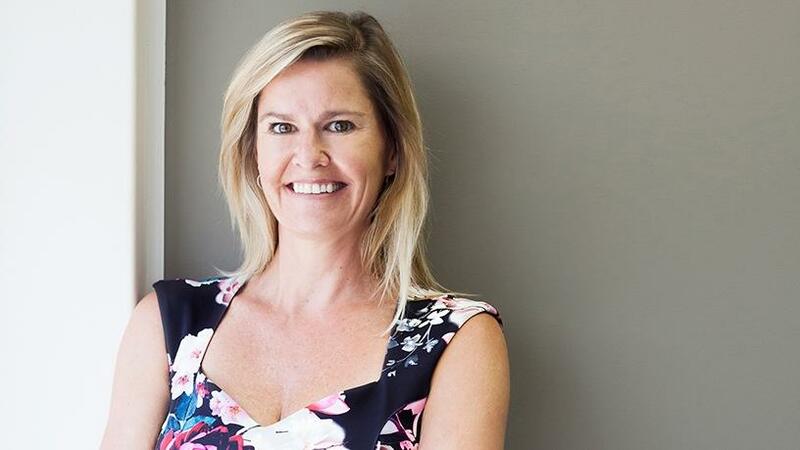 This article was first published in the April 2018 edition of ITWeb Brainstorm magazine. To read more, go to the Brainstorm website.